Chiefs of administration are some of the most powerful people in the business and corporate world, and you can have access to their direct contact information! Our administrative VPs email database can help you make connections with potential sales leads. Administrative functions can be either the most straightforward or the most messy and difficult duties of an institution, as a vice president of administration often manages huge operations and makes sweeping changes to keep a company operational. The reach and influence of an administration vice president depends on the institution, but these high- and c-level professionals often manage teams of office managers and support staff to make things run smoothly. In any case, if you have a useful project management app, outsourced service, or organizational product, this is an ideal group to reach out to, as a vice president of administration would likely implement your product on a larger scale. Use our VPs of administration email database to market directly to these professionals. 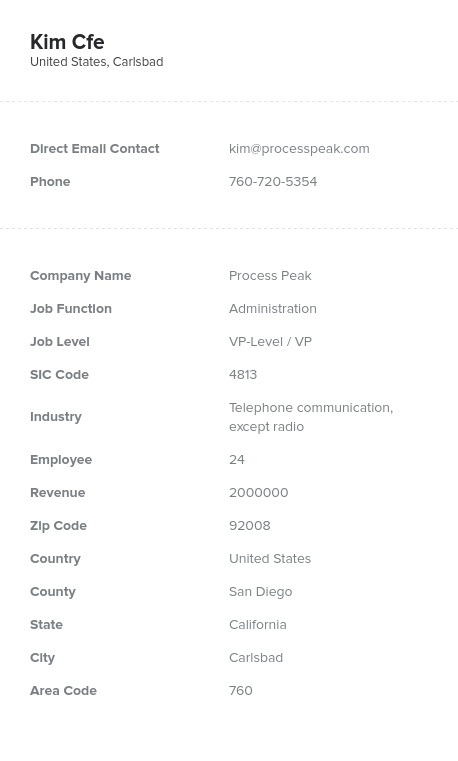 Our VP of administration email list is culled by job title and includes senior administrators and administrative executives with relevant official titles across numerous institutions, saving your marketing team value time and effort. Our business-to-business database isn't just an email list; you can also use it as a mailing list of vice presidents of administration, as it has postal addresses and real names. Within a few minutes, you'll have access to all of the information you need to get in touch with VPs and chiefs of administration. Buy and download this ready-made data product and start marketing your products and services to administrative vice presidents. Who knows? A chief of administration may implement your solution company-wide!